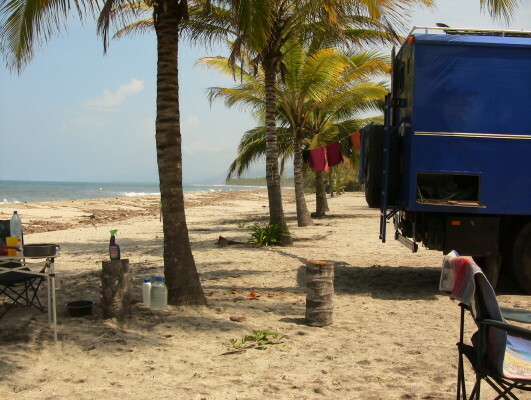 Next day we crossed the border to Colombia, thar was a special expirience for us: it was my second birthday. A huge fifthwheel truck came downhill with more than 60 mph in neutral without brakes, missed me with 5 inch and crashed into waiting cars and came to stop in an taxistand. Causes minimum 2 deads and a lot of wounded persons. 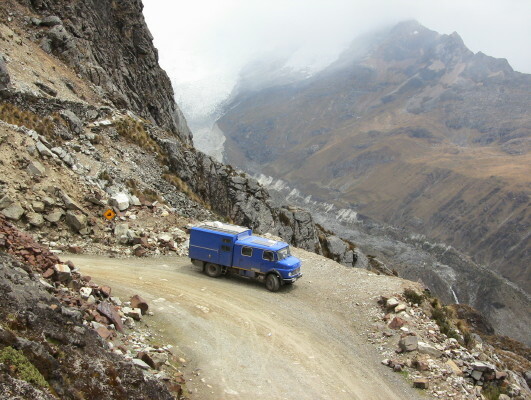 Afterwards we went on a real terrible road to the NP of Huascaran. (30km constructionarea and than not really better). In exchange for that we saw a real breathtaking landscape.